If one asked which animal carries its own home on its back, the answers would be, 1. a turtle; 2. a Chinese farmer; and, 3. a few thousand wealthy Bangladeshis. The turtle of that ancient lore, however, did not have a shell, and would get eaten up by foxes, dogs, and eagles as soon as it left its house. He figured he was safe only when home. So he prayed to the Turtle God so that he could always carry his home of hard shell with him. Gods of those times would fulfill the wishes of those pure in heart. One fine morning the turtle found that his home of hard shell was attached to his belly and his back. The turtle has been safely moving around with his home since. 38-year-old Liu Ling Chao of China was very poor. He had no home to call his own and also loved to travel. He came up with a great idea of building a house of bamboo and plastic that could be carried around. It weighed about 60 kilograms and one could easily wander around with it. Since then Ling Chao has been peregrinating, albeit at the pace of a snail. He has made about 20 miles in three months. So what if he cannot boast speed? He has a home. The story of the wealthy Bangladeshis, however, is a far more interesting one. Former Ambassador of Bangladesh, Mr. M. Sirajul Islam told the following story to The Independent. A region in Toronto, Canada is nicknamed, “Begum Para” by the local Bangladeshis. The sahibs of these begums don’t live with them. They arduously make money living in Bangladesh. When fatigued from making money, they come and spend some leisurely time here with their families. Even Moghul begams would have been green with envy had they seen the lifestyle of these deshi begams. Their apartments are filled with luxury items; their children attend the best schools. The begums’ sole responsibility is to take care of their children and to enjoy themselves. There are many such “Begum Paras” across Canada. It’s no surprise that the sahibs are rich. On top of this, they have been able to build second homes abroad thanks to the foreign investors’ quota. It’s not that expensive: a mere 160,000 Canadian dollars could buy you citizenship. The begams had to also part with the same amount in exchange of which they managed a safe abode abroad. This house is more powerful than the one the turtle carries, and less onerous than the one built by Ling Chao. Whenever you want to relax, whenever you’d like to flee the country amidst trouble, this home, along with its begum and all its amenities and security will be there for you. You don’t have to lug it around. All you have to carry on yourself is the citizenship card bought for a mere CAD $160,000. This card can save you from the travails of your homeland. You will need another card too with which you will withdraw money to your heart’s extent. Surely a great mobile arrangement! There’s profit all around. You are enjoying the benefits of citizenship in a first world country. At the same time, you are far from a Bangladesh riven by political and natural calamities. The money you are investing will be returned to you in some form of benefit. Canada, of course, has its own reasons for introducing the system. There’s a joke among Canandian-Bangladeshis which goes something like this: Why didn’t Canada face the same financial crisis as the US and Europe? The answer is, the “remittances” of expatriate Bangladeshis! One needs to know how many millions of dollars are being laundered to Canada by the Bangladeshi sahibs. According to the US-based Tax Justice Network, between 1976 and 2010, Tk. 1,97,600 crores were sent to Canada from Bangladesh (Prothom Alo). As per the UNDP, Bangladesh tops the list of countries that smuggle out currency. And, black money dictates 35.29 percent of Bangladesh’s national economy. There is no reliable statistic about how many Bangladeshis are buying citizenship in this manner and in exchange of how many millions. It is not safe to keep money, earned and spent in illicit ways, within the country. Our politicians often blame each other for selling the country. Looting the national economy and buying foreign citizenship is the ultimate form of “selling the country.” Recently, a government officer has been alleged to have sold forty years of secret census data to foreigners. There are others like him. Where else would the profits of the share market, Hall Mark, Destiny, and Sonali Bank go? It is through such bribery, corruption, and cronyism that many are becoming “esteemed” citizens of foreign countries. 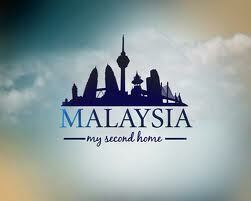 It is for them that the Malaysian government has started the “Malaysia My Second Home” program. Between 2002 and 2010, at least 1,862 Bangladeshis have bought Malaysian citizenship (The Daily Star, April 27, 2012). According to last year’s estimate, they have taken about Tk. 2,300 crores to Malaysia. The number of such “sellers” and the amount of money from selling the country are much higher now. This is the way in which many wealthy families of Bangladesh are becoming citizens of rich nations like Australia, New Zealand, and Singapore. It was especially after the anti-corruption drive of the last Emergency that many members of this corrupt, lumpenbourgeoisie have learned a lesson: you cannot keep money and family in the country. Their second homes are thus scattered across the globe. That it is during times of political crisis that the rate of money-laundering increases has been noted in past UNDP surveys. While the seekers of the “second homes” are turning the country into Rana Plaza, the garment workers crushed under factory buildings and the migrant workers abroad are sacrificing their youth and their lives to produce billions of dollars in remittances and export revenues. It is they who have been building the country since the 1980’s; they are the architects of this nation. At a time when wealth is being siphoned off to the urban centers from rural areas, it is the members of these two professions who are sending an enormous amount of capital back to the villages. Wherever garment workers and migrant workers go for work, they look for employment opportunities for their relatives and neighbors. And wherever the “sellers” of our country go, they manage to destroy the wealth and potential of the nation. One of the most obvious outcomes of the independence of Bangladesh has been the rise of a Bengali ruling and capitalist class. The characteristics of the majority of this class are the same as those of the colonial rulers. The British used to live here, but their wealth used to go to Britain. The Punjabi rulers followed the same trend. In the meantime the local landlords who became the owners of land across Bengal thanks to the British also used to send their wealth, children, and savings to the colonial city, Calcutta. The same trend continues to date though the current rulers are Bengali. It is our wealth that still helps enrich countries like Malaysia, Singapore, Britain or Canada. The ones who risk all and die are the peasants and their offspring – the garment workers. The loved ones of the missing workers were crying as they put flowers on the barricades at the one-month anniversary of the Savar tragedy. They are the ones without a country even when living in it. Many of them are landless; the others are homeless like Ling Chao. These parents at least want their children’s corpses so as to give them a proper burial; all they want is a piece of the earth for the grave. They believe that their children should be buried where they were born. This land of birth and death is their only country. The peasants in Phulbari gave the same argument for not sacrificing their land for mines. This is the land where their ancestors are buried – “Ei mati hamra chharbek loy” [“We won’t give up this land”]. The owners of the “second homes,” however, do not need land. They need the opportunity to get rich by milking the country and its people. Most of the year, therefore, the sahibs of “Begam Para” spend time here like the erstwhile British, the zamindars, and the Punjabi rulers. They keep the money-machine running. And yet, this country is not their last address. They too will leave when done the same way the British and the Pakistanis had left before them. But it is absolutely imperative that those for whom this country is the first and last resort save it from the ones with two addresses. When the government and the opposition both boast being diehard nationalists, how come the ones under the turtle’s hard shell are still getting away with it? Faruk Wasif is a writer, journalist and activist, and a graduate in Bengali from Jahangirnagar University. Translator Nusrat Chowdhury is Assistant Professor of Anthropology at Amherst College. কিন্তু এই দেশ যাঁদের প্রথম ও শেষ ঠিকানা, দ্বিতীয়ঠিকানাধারীদের কবল থেকে দেশ বাঁচানো তাঁদের জন্যফরজ। সরকার ও বিরোধীদল উভয়ই যখন বিরাট জাতীয়তাবাদী, তখন শক্ত খোলের মধ্যে থাকা সুবিধাবাদী কচ্ছপেরা লাই পাচ্ছে কেন? I feel this article falls short of AOD (and perhaps Prothom Alo) standards. The only factual basis here seems a wishy-washy article that heavily relies on hearsay and anecdotal evidence. The rest of the data is dubious too. Case in point: source of data for Malaysian immigration is cited, but the remittance figure of BDT 2300 crore is ‘last year’s estimation’. Needless to say, it is the latter that could’ve served as a starting point for building a case against smugglers. The sentimental attempt to portray second-home seekers as some sort of traitors to the motherland, while surely admirable to some, is not based on any ‘journalistic’ work or research. Neither is the attempt to paint them as the ‘Hallmark-Destiny-Ranaplaza’ types. As pointed out above: it is not ‘having a second-home’ situation that needs remedying, but illegal financing of such homes. The former cannot, does not serve as a proxy indicator for the latter. P.S. the inconsistent spelling of ‘Begum’ can be distracting to some readers. Just a suggestion. Disagree with Adnan R Amin. If anything, Wasif has not fully encompassed the scope of the damage of capital flight. This is in today’s paper. Thanks Khujeci. Very worrying news – though I don’t see how that relates to my comment or where you disagree. I was pointing out problems I perceived in a) citing the Sirajul Islam article as a source and b) the attempt to link second-home seekers and Destiny-Hallmark scale corruption. Also, let’s not misunderstand my intentions or stance. Capital flight is real: I only want to help make stronger the case against it and its perpetrators. My comment means this article, IMHO, didn’t make a really strong case. Ok, that’s clearer than the first comment. I stand corrected. And yes, Swiss bank account data deeply worrying.